The government is expected to notify extensions in deadlines for Aadhaar linking with bank accounts and other services soon. 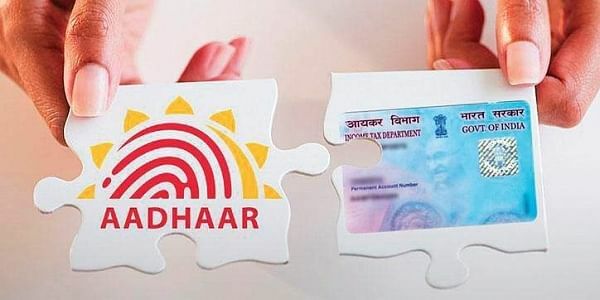 NEW DELHI: The Centre on Friday followed through on its submission to the Supreme Court Thursday that it would issue an extension in deadline for Aadhaar linking with PAN, bank accounts and other services from December 31 to March 31. Today, the Central Board of Direct Taxes issued a notification stating that deadline for linking Aadhaar to PAN has been extended until March 31 since “some of the taxpayers have not yet completed the linking of PAN with Aadhaar”. The government is expected to notify extensions in deadlines for Aadhaar linking with bank accounts and other services soon. “Therefore, to facilitate the process of linking, it has been decided to further extend the time for linking of Aadhaar with PAN till March 31, 2018,” CBDT said. Under the provisions of recently introduced section 139AA of the Income-tax Act, 1961 (the Act), with effect from July 1, 2017, all taxpayers having Aadhaar Number or Enrolment Number were required to link the same with Permanent Account Number (PAN). In view of the difficulties faced by some taxpayers in the process, the date for linking of Aadhaar with PAN was initially extended till August 31, 2017 and further extended upto December 31, 2017. The latest extension comes as the Supreme Court is set to begin hearing the case against mandatory Aadhaar linking to a slew of services, including bank accounts, PAN and mobile numbers, from next week. On Thursday, the Centre had told the SC that it would notify deadline extensions for more than 130 services, except for mobile SIM cards (where deadline is currently February 6), on Friday.